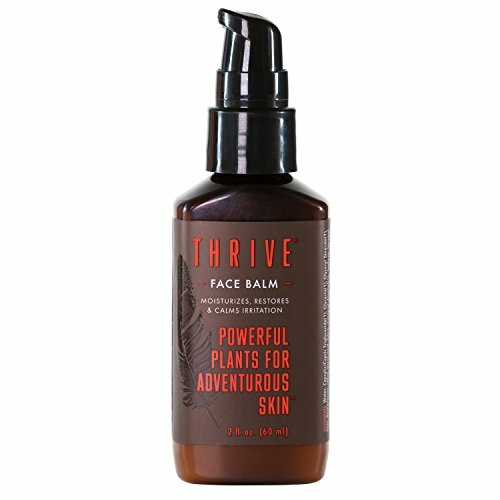 Why we love it: Rehydrate and protect your skin with this plant-based facial moisturizer from Thrive. Nourishing Shea Butter combines with Macadamia Seed Oil to heal and hydrate dry, oily and combination skin types. Rosemary Leaf Extract and Citrus Oils provide anti-inflammatory properties that aid in calming razor burn without stinging like an alcohol-based aftershave. Use morning and night on a clean face. This great face balm is gluten free, GMO free, and animal product/cruelty free (ok for vegans).